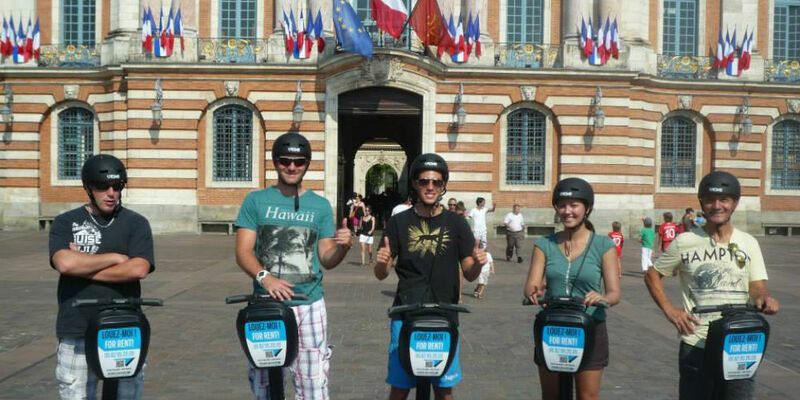 Book your Toulouse France Segway experience. Just a short walk from the Capitol, enjoy a unique Segway experience! Original and ecological, come and try a new way to get around. Accessible to all, and very easy to use, this new mode of transport helps you to discover our beautiful pink city. For Christmas, a birthday, a wedding, a retirement, or simply for the pleasure of giving, choose an original gift that pleases every time! Accessible to all, driving the Segway is always a great discovery we remember all our life. Want to challenge your friends, colleagues or your partner? Try out the Segway on an extraordinary journey … From the Canal du Midi to the Cité de l’Espace the Segway will have no limit for you! The schedule: Canal du Midi – L’Eglise du Christ Roi – Cité de l’Espace – The Argoulets-The Observatory – The Multimedia Library – allées Jean Jaurès.